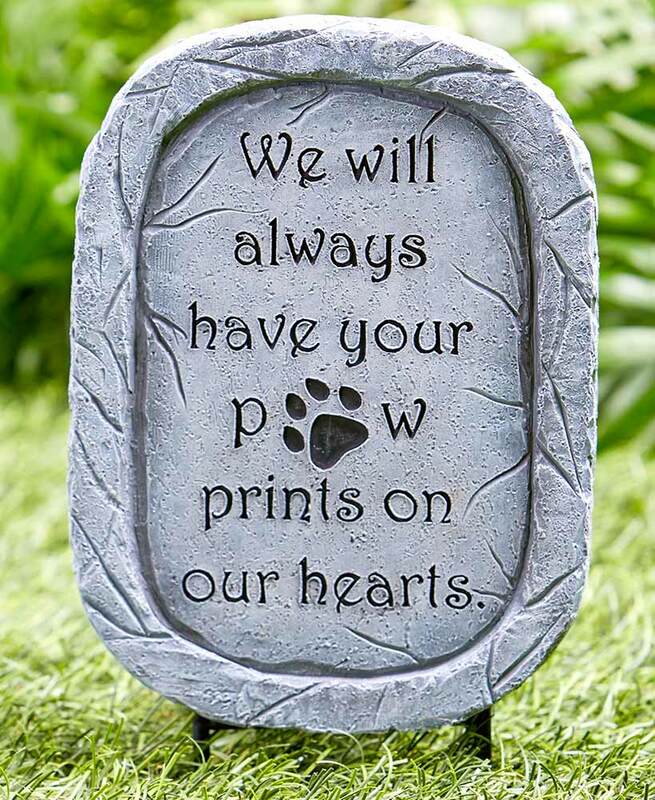 Honor the memory of a beloved pet with this Memorial Stake. Each is carved with a heartfelt message and features raised elements. Has metal stakes on the bottom for staking into the ground and a keyhole opening on the back for hanging. 6"W x 9-3/4"L, including the 2-1/4" ground stake. Cold cast ceramic. Pet: "We will always have your paw prints on our hearts."